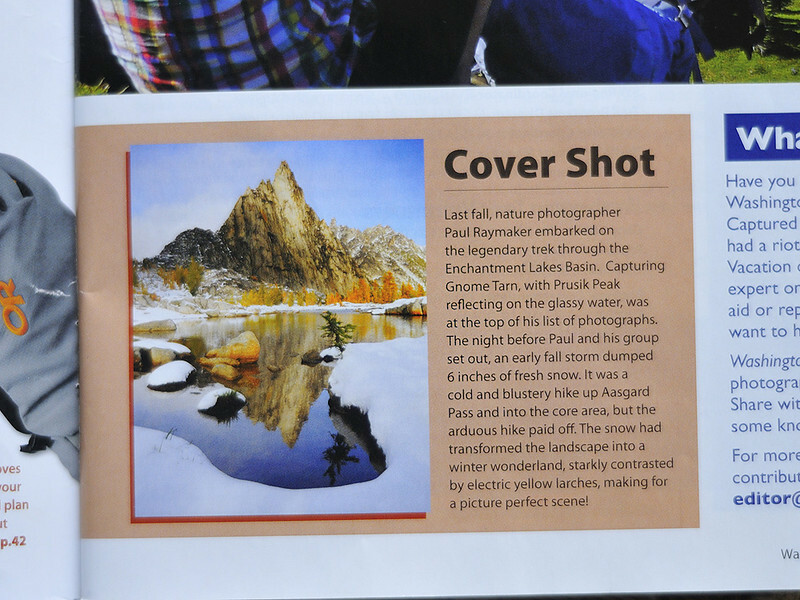 I am honored to have my image "Prusik Reflection" featured on the cover of the 2012 November+December issue of Washington Trails Magazine! I've really enjoyed contributing my photos to the WASHINGTON TRAILS ORGANIZATION during my last few years living in Washington. I feel that my photography should serve a higher purpose than just being a pretty picture to look at. 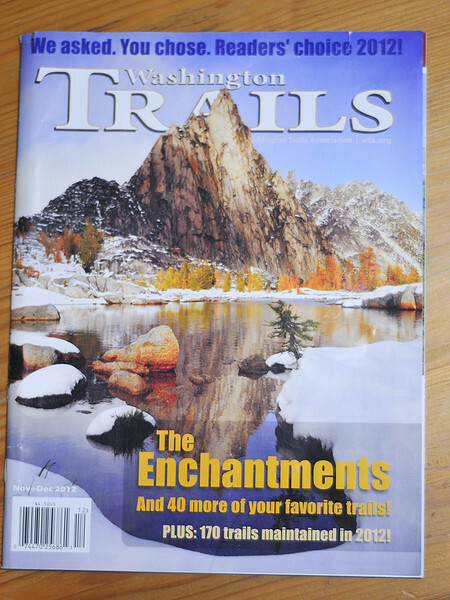 Washington Trails magazine has a readership of over 15,000 people. I hope that my images, along with the excellent writing and photos from others in the magazine, help to give people a reason to care for amazing places found along trails throughout Washington's wilderness. Become a MEMBER of WTA today to receive a copy of the magazine and contribute to WTA's effort to preserve trails throughout Washington. Or, pick up a copy at your local outdoor retailer, like REI! I also had a few other photos published in the magazine, like this one from Deception Pass State Park, Washington. Another image of mine from Spray Park, Mt. Rainier National Park, Washington. You can read more about the magazine at the WTA.org website. Thanks for your support!